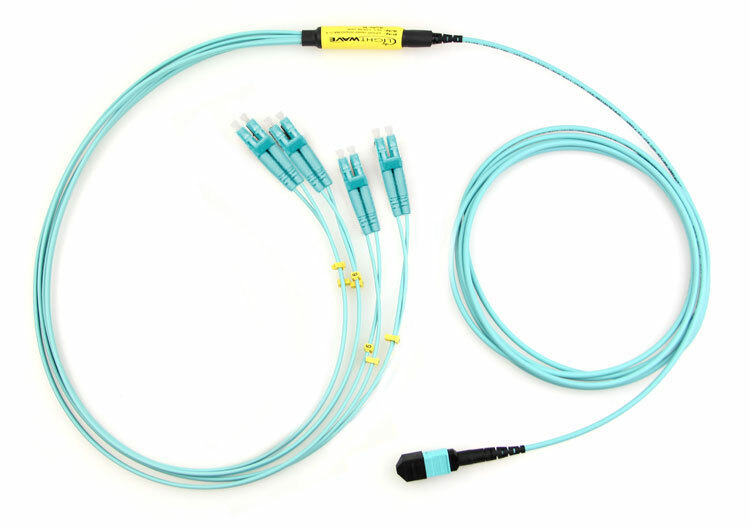 The LightWave OM3 8-Fiber MTP/MPO to LC Fiber Optic Fanout Cable was designed to address the two main concerns of data centers: increasingly demanding bandwidth requirements, and decreasingly available cable volume space. The result is a compact, time and money saving cable that helps you get the job done faster and more efficiently. On one end, the cable has an MTP brand connector, housing 8 fibers, which breaks out to 8 LC connectors in duplex configuration. Like the MTP brand connector, the LC connector is also known for its space-saving capabilities. These two connector styles, together in the same cable, increase density and data throughput. Using OM3 fiber optics with this cable, you can transfer data over a 50/125 micron 1Gbps fiber link a distance of up to 1000 meters at a wavelength of 850nm, or a distance of up to 550 meters at a wavelength of 1300nm. 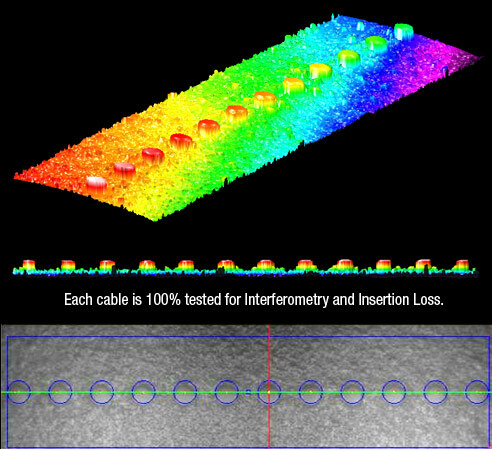 On a 10Gbps link, you can transfer data a distance of up to 300 meters at 850nm. All LightWave brand fiber optic patch cables, including this MTP-LC fiber optic cable, are assembled to meet and exceed industry performance standards. 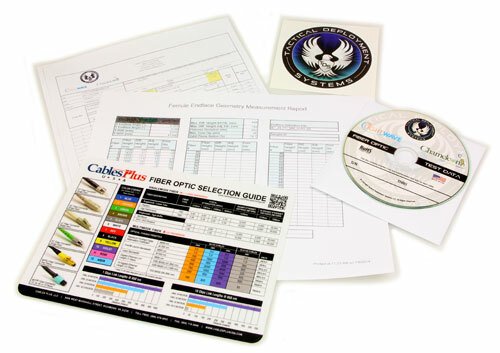 Each product is individually tested to make sure you receive the highest possible quality, and the results of each test are included with the product. 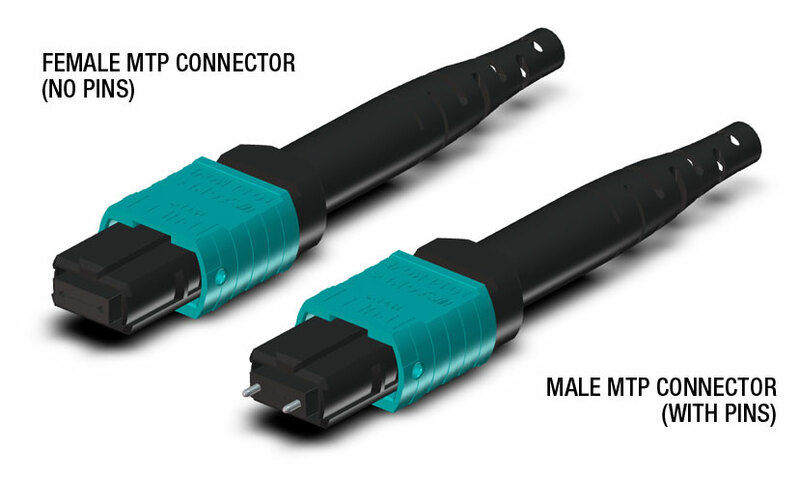 MTP brand connectors are an undeniable improvement over generic MPO-style connectors. 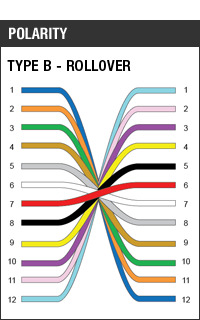 Sporting removable housing, the MTP brand connector allows you to re-polish or rework the MT ferrule as needed, so that you are able to get the most accurate possible connection and lowest possible return loss.